Shepherd’s pie is such a hearty and satisfying meal. It’s a comfort food that both adults and kids love–at least in our house. If we don’t finish it all at dinner, it’s great as leftovers too. 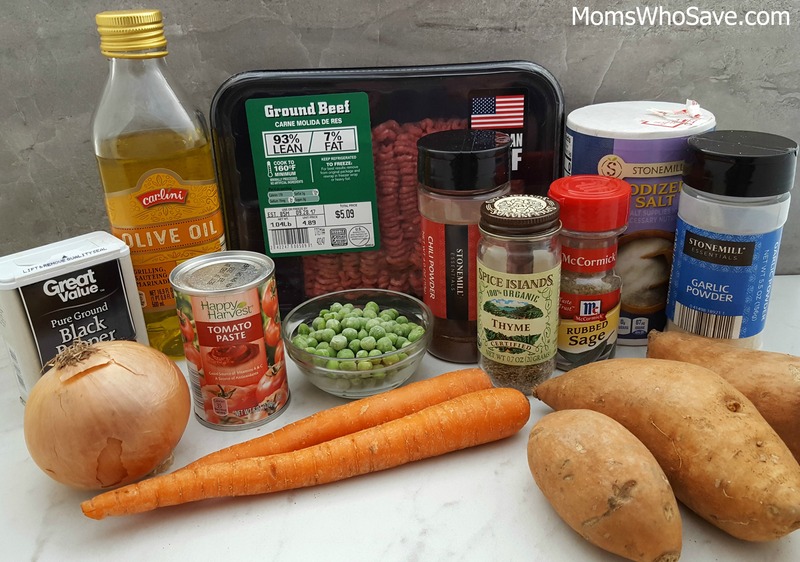 With this recipe, I’m bringing you a twist on shepherd’s pie–top it with sweet potatoes! The sweet potatoes are so good in this dish, and they’re so good for you! This one skillet dish is really a complete meal, but you can stretch it further if needed with a salad and/or good piece of bread on the side. 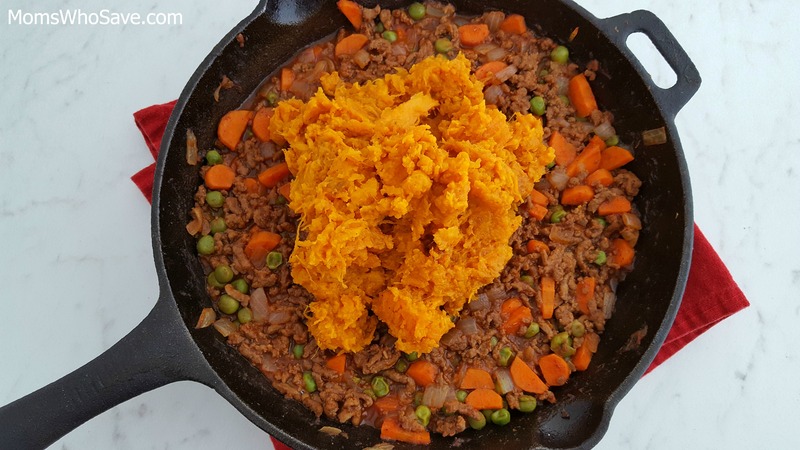 Let me know how you like this skillet shepherd’s pie with sweet potatoes! 1. Preheat oven to 350 degrees F. Place sweet potatoes on a baking sheet (face down), and bake for 30 minutes. 2. While potatoes are roasting, prepare vegetables. 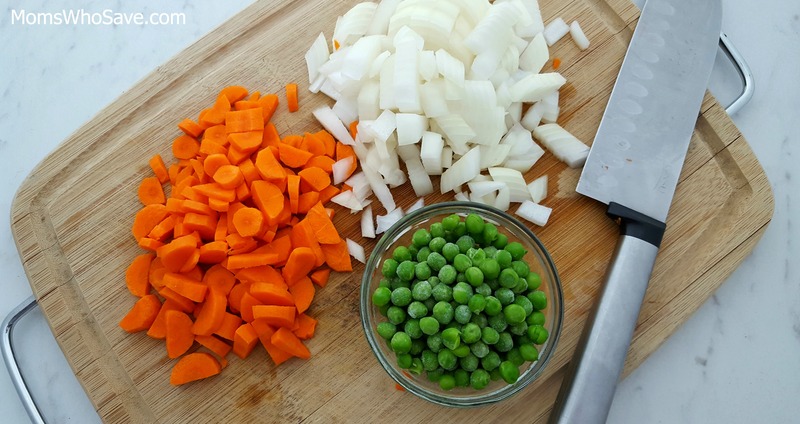 Peel and slice carrots into bite-sized pieces, and chop onion. 3. 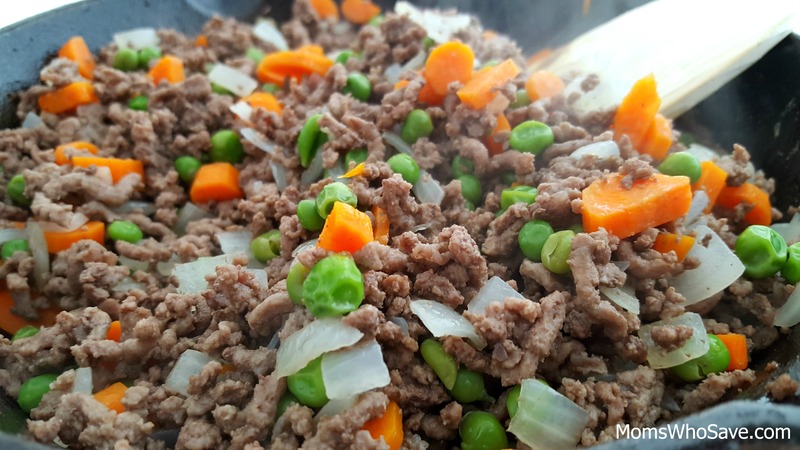 Heat cast iron skillet over medium-high heat, and add ground beef, carrots, onions, and peas. 4. 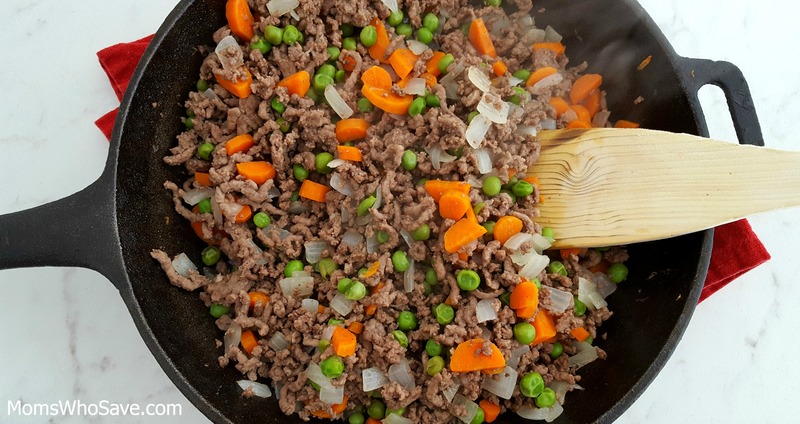 Use a wooden spoon to break up ground beef as it browns, and continue cooking for 12-15 minutes. 5. Once meat is browned and carrots are tender, add tomato paste, water, and spices. Stir, and then allow mixture to simmer for 5-7 minutes. Add additional water as needed. Taste and adjust spices if necessary. 6. 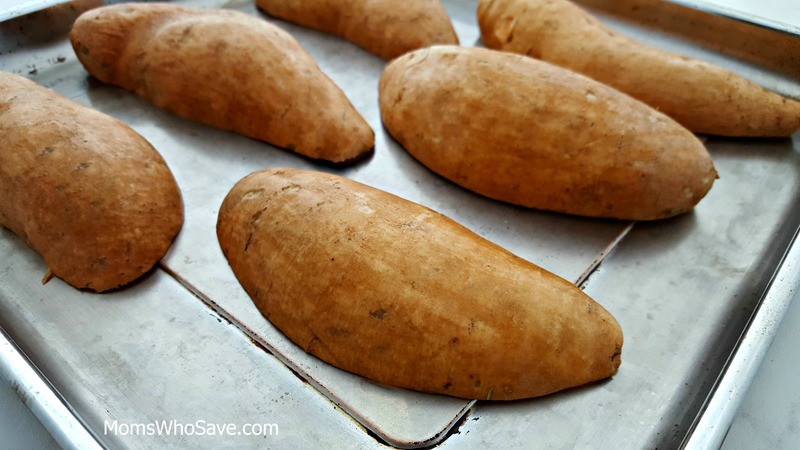 After sweet potatoes have finished baking, remove from oven, and use a spoon to scoop the potato insides from the skins. Place potato into a bowl, and smash with a fork until smooth and chunks are removed. 7. Add olive oil, chili powder, and salt to the bowl of sweet potatoes, and stir to combine. 8. Remove skillet from heat. 9. Spoon the sweet potato topping onto the meat mixture skillet. Smooth it over the top to completely cover. 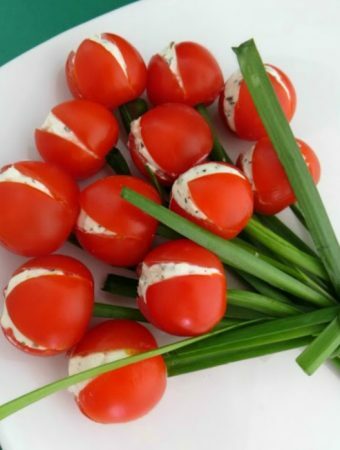 Garnish with fresh parsley if desired. 10. Turn oven to broil on high, and place skillet in oven. Remove after 3-5 minutes. 11. Serve warm, and enjoy! 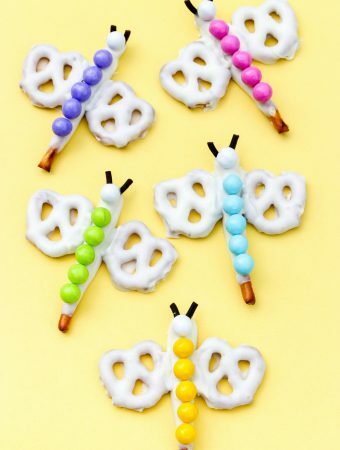 LOVE the idea of using sweet potatoes! 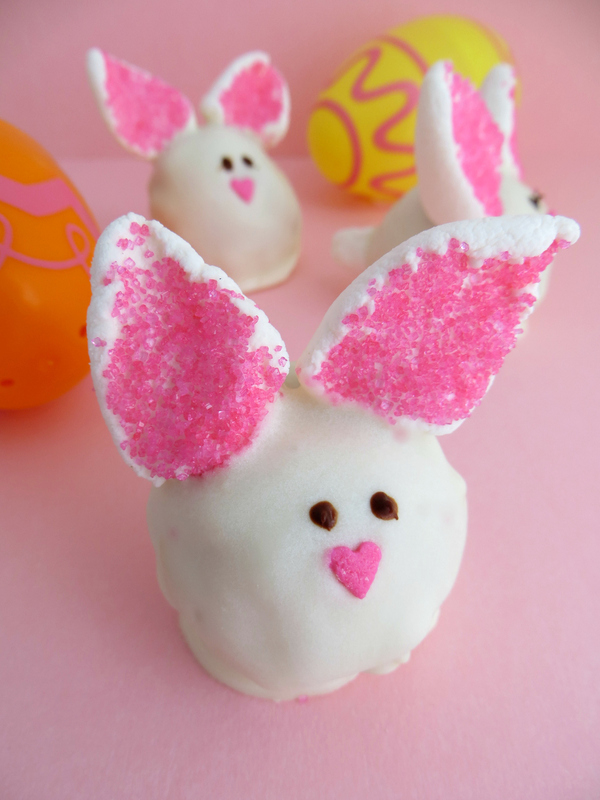 I definitely have to give this recipe a try!